Situated next to Greater Fatra, Lesser Fatra is a mountain area stretching from Fačkovské Saddle to Zázrivá Village. 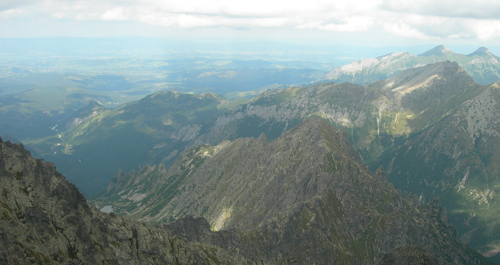 Lesser Fatra is a granite mountain range and its northern and eastern slopes consist of rigid dolomites and limestone. As it is a popular Slovakia tourist resort for skiing in the winter and hiking during summer holiday, Lesser Fatra belongs among the most important tourist destinations in Slovakia. There are several high-class Slovakia ski resorts as for example Vrátna, Štefanová or Martinské hole lying nearby Martin. Martin, Žilina, Ružomberok and Dolný Kubín districts are extending on Lesser Fatra’s territory. There is an tourist information centre in Štefanová Village. The mountains are an example of beautiful Slovakia nature, are full of wide valleys, ravines, dingles, cliffs and very interesting stone formations. Lesser Fatra is covered with beautiful coniferous and deciduous forests. 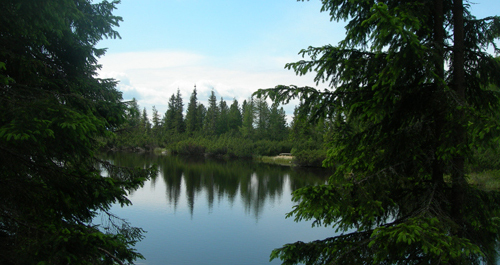 They are home to various Slovak fauna: bears, lynxes, wild cats, wolves, deer and roe deer. As they are also home to adders and grass snakes, it is better to watch out where you step. Malý and Veľký Rozsutec (Little and Big Rozsutec), Malý and Veľký Fatranský Kriváň (Little and Big Fatranský Kriváň), Poludňový Grúň, etc. Many tourists come to admire 38 metres (124.6 ft) high Šutovský Falls during their summer holiday. Hiking lovers will definitely like Jánošíkove diery (Jánošík’s Holes) in Slovakia Lesser Fatra: Dolné, Nové and Horné diery (Lower, New and Upper Holes). Tourist paths leading up to holes, ravines and Rozsutec Mountain start in Terchová or Štefanová villages. If you decide to set off on a journey from Terchová, you will have to go out from the village towards the Diery Hotel. There is a clearly signed learning tourist trail with a description that will lead you up to Lower and New Holes. The pathway is equipped with ladders and wire bridges not high above the river that will help you to cross the swift stream. The hike can be done even by children. This blue-signed trail will lead you along the forests and narrow ravines of Lesser Fatra. Later on it meanders through the valley and rocks and you can admire Big Rozsutec Mountain. As soon as you cross Jánošík’s Holes in Lesser Fatra in Slovakia, the path will split up and you can choose whether you want to go on up to Rozsutec Mountain, Upper Holes or get to Štefanová Village. Meanwhile you decide where to go, you can rest in a nice cottage and enjoy some traditional Slovakia food. If you decide to go to Štefanová, you will walk along beautiful wide valleys and meadows of Lesser Fatra. The journey takes about 0,5 h. The hike from Terchová Village along Lower and New Holes up to the crossroad with the cottage takes about 1 – 1,5h. If you decide to go to Lesser Fatra’s Upper Holes (big), get ready for an unforgettable experience. There are observatory towers. The Upper Holes trail meanders through rocks. It is equipped with iron bridges and ladders leading above the river. This hike is suitable only for adults and more experienced hikers. The path from Upper Holes leads back to Terchová Village. The journey from the crossroad takes about 2.5 h.
If you decide for a hike up to Big Rozsutec Mountain, you will have to climb some lofty but steep rocks. You should take in account that the weather changes very quickly and it can get quite cold and even foggy. The weather on the peak is always cold, even in the summer season. However it is not simple to get there, if you are lucky enough to have good weather, the panoramic view from the top of the mountain peak is really worth all your effort. You can get to Little and Big Rozsutec, Tiesňavy or Skalné mesto (Stone city) form Terchová Village and Vrátna Valley. There is a Jánošík’s Museum in Terchová and the village also houses a beautiful cultural and sacral monument: church with moving Bethlehem. The summer season in Terchová village is enriched by regular folk fairs. 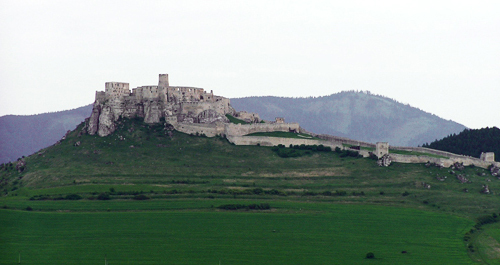 Make sure you do not miss them during your summer holiday in Slovakia. There are impressive ravines of Lesser Fatra lying just behind the village on the left. On your way you will see 10 metres (32.8ft) high Jánošík’s sculpture. 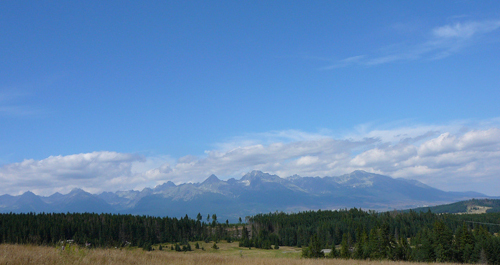 A trail from the Strečno Mountain will lead you to other Slovakia mountains: Big and Little Fatranský Kriváň. An easy hiking trail in this part of Lesser Fatra is the one to Stráňavy.